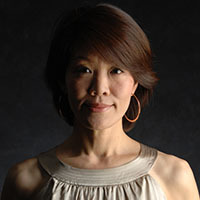 Angela Byun is the Head of International Strategy and Development for Golf Digest and is responsible for all international revenue streams including print, digital, video and brand extensions. Golf Digest is the #1 distributed sports publication in the world reaching more than 30M+ golfers with 30 international editions in 18 languages. Golf Digest is part of Condé Nast, the premier entertainment company renowned for producing the highest quality content for the world’s most influential audiences. Reaching more than 263+ million consumers worldwide, the company’s portfolio includes some of the most iconic brands like VOGUE, GQ, Vanity Fair, Glamour, Architectural Digest, Wired, Bon Appétit, and The New Yorker. From 2006-2015, Angela was responsible 2 corporate groups at Condé Nast -- Business Affairs and International Business Development. 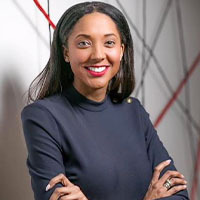 She led all negotiations for Condé Nast’s new business development deals including licensing, e-commerce, digital and event partnerships, and joint ventures. 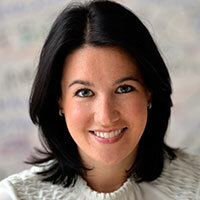 Angela also oversaw the international expansion for Women’s Wear Daily (WWD) and Style.com. 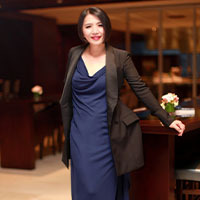 She was instrumental in launching Style.com Arabia in 2012 -- which transitioned into VOGUE Arabia in 2017, and Style.com Indonesia in 2014, the first fashion titles for Condé Nast in both regions. Under her leadership, she successfully generated new multimillion dollar partnership deals in Asia, EMEA, and Latin America. She also spearheaded global media buys across 5 continents and created innovative solutions for luxury clients like Mercedes-Benz and Rolex. From 2004-2006, Angela was the licensing attorney at Jones Apparel Group, and prior to that, she was an attorney at Paul Weiss. Under the Clinton administration, Angela was a law clerk in the Chief of Staff’s Office at the White House in 1999, as well as intern in 1996. She has also worked in U.K.’s House of Commons, Parliament. Angela is an Adjunct Professor at Fordham Law School, serves on the Executive Council of Diversity at Condé Nast with Anna Wintour and David Remnick, volunteers and sits on various non-profit boards in NYC/NJ, has frequently guest lectured on intellectual property and media matters at the Digital Innovators Summit in Berlin, FIPP’s World Congress, Columbia Law School and Fordham’s Fashion Law Institute, and is a CORO Leadership New York Alum – an extensive leadership training program exploring civic leadership, diversity issues, and New York City public policy. Chris Kerwin has been at BBC Worldwide since 2013, with responsibility for all publishing activities across the commercial arm of the BBC. The main responsibilities of the role are management of UK’s biggest food media brand, BBC Good Food across digital, print, live and innovation; management of Top Gear’s publishing business and responsibility for a number of licensing relationships with Immediate Media, Panini and Titan across a range of other BBC brands. 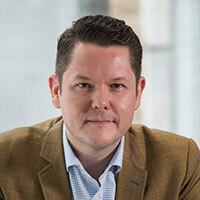 Prior to this role at the BBC, Chris worked as Digital Controller at Channel 5, where he was responsible for building a catch-up and digital publishing business for the publisher broadcaster. He has also been brand publisher for T3 at Future and had a previous spell at the BBC as Head of New Media for BBC Magazines. Before his digital and publishing career, Chris trained as a strategy consultant and worked on numerous media and banking projects. 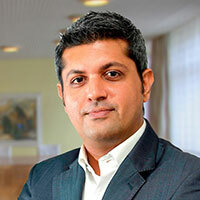 Deepak Lamba currently holds the position of the Chief Executive Officer at Worldwide Media (WWM). Mr. Lamba comes from a strong broadcasting background having spent 16 years in the media industry. Prior to joining the Times Group in 2012 as President - Times Centre For Learning & Times Conferences Ltd., he was Business Head - Bloomberg UTV where he moved after spending over 6 years at MTV Networks & Viacom 18 and was responsible for incubating & heading Viacom Brand Solutions. In early 2015 he was appointed Chief Executive Officer of Worldwide Media. As the CEO, Deepak was given the mantle of digitizing and steering WWM into generating alternate revenue streams for some of the most iconic brands in India and their various IP’s. By utilizing his extensive broadcasting experience, Deepak dived into creating short and long format video content which would sit across web and television platforms, which WWM is all geared up to launch soon. Apart from this, coming from a sales background has helped him identify key revenue opportunities. He is also responsible for expanding the WWM brands to include more extensions in terms of events and digital properties driven by strong content. Lamba has been associated with various other media houses. 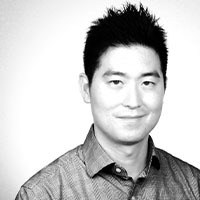 He joined MTV in 2006 as associate director, Viacom Brand Solutions. Within a year, he was promoted as director, Viacom Brand Solutions. Four years later, he moved to Bloomberg UTV as business head in January, 2010. He put in his papers at Bloomberg UTV in April 2012. Mr. Lamba is an alumnus of University of Pune and had completed his education from The Bishop’s School- Pune, one of the esteemed educational institutions in the year 1993. Hannah Ray (née Waldram) is a creative producer and visual storyteller. 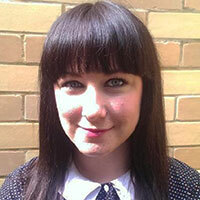 A journalist by training, she specialises in creating and producing short-form online story experiences. Her passion is finding new ways of telling stories to connect people. 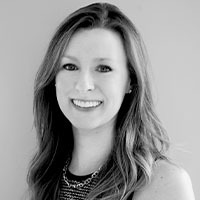 Hannah joined Condé Nast International as Head of Social Strategy and Storytelling for Vogue International, having worked on Instagram’s flagship editorial team from 2013-2016, where she was Instagram’s first international hire, launching six international Instagram accounts and Instagram Stories. 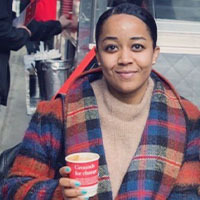 At Condé Nast she works on production of content as well as strategy for eleven Vogue international Instagram accounts, and creating new global editorial strategies to elevate the Vogue international presence on visual platforms. Before Instagram, Hannah worked at the Guardian for four years in the newsroom, experimenting with new media to engage audiences. She continues to work as a freelance community consultant and Instagram editorial producer for various clients including the Tate and BBC. She has provided workshops and training on building online communities, and invited to speak at conferences on short-form storytelling for social media, including the Digital Journalism World Summit, 2017. 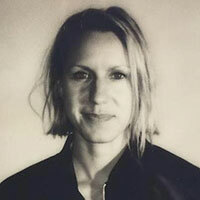 Julia Jäkel, born in 1971, studied history, politics and economics at Heidelberg and Harvard and graduated with an M.Phil. from Cambridge University. Her career began when she joined the Bertelsmann Entrepreneurs Program in 1997; this led to her joining Gruner + Jahr a year later. At the end of the 1990s she was part of the team that founded the “Financial Times Deutschland”. In 2004 she was appointed Head of Publishing at “BRIGITTE”, and by 2008 was running more than 20 magazines and digital publications. She has been CEO since 2013, and together with her team she has set her sights on turning Gruner + Jahr into one of the most creative and modern publishing houses in an ever-changing media landscape. Julia Jäkel is a member of the Bertelsmann Group Management Committee. 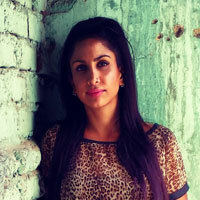 Kalli Purie is the Group Editorial Director (Broadcast & New Media) of the India Today Group. She is better recognized in the industry for her vision to synergize India Today Group’s excellence in conventional journalism with the reach and innovations of new media. A serial entrepreneur at heart, she brings a rich experience in running a wide range of media properties from television channels, apps, to a digital newspaper, to championing world class events, to devising a social media strategy for the group. Par excellence ideator and project manager she is the natural choice to launch the many innovative products of the group. 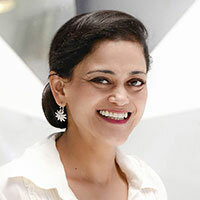 She is uniquely positioned to address India Today’s integrated foray in the new media landscape. Her unified leadership in television, digital and events is the cornerstone for the success of synergy in the Group. In her current role, she is steering the editorial of India’s undisputed #1 news channel along with 3 others of the network. She is also the lead for all signature events of the group. She is aggressively spearheading the rollout of the next set of digital innovations. Armed with a clear vision about the future of news, she is a key member of the team that has built the architecture of a futuristic newsroom, apt for the multimedia, multi-device world we live in. The project is creating a giant news turbine to harness the forces of an integrated newsroom, exploiting synergies amongst the many media platforms. She is a graduate from Oxford University, UK in Politics, Philosophy & Economics. Karla partners with publishers, media organizations and content owners to integrate with the Facebook Journalism Project and Facebook's Platform to create social experiences on web, mobile and in broadcast. From 2007 to 2009 Karla was Director of Marketing at Bebo where she drove strategic marketing partnerships with media owners and publishers. 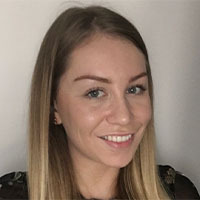 Prior to Bebo, Karla spent six years at RealNetworks as the European Marketing and PR Manager working across their mobile, software and digital music verticals, launching enterprise products and consumer services. Karla holds an MBA from London Business School and a BSBA from the University of Pittsburgh. 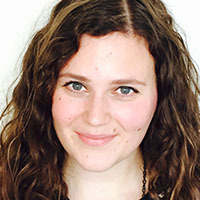 Megan Murphy was named editor of Bloomberg Businessweek in November 2016. Prior to joining the magazine, Murphy was Bloomberg's Washington Bureau Chief since August 2015, overseeing the news organization's coverage of the Federal Reserve, government, financial regulation, campaign finance and politics. 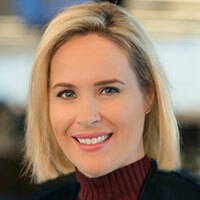 Earlier in her career, Murphy worked at Bloomberg as a legal affairs correspondent from 2004-2007. 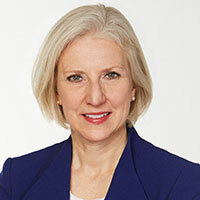 Before her return to Bloomberg in 2015, Murphy was the Washington Bureau Chief at the Financial Times where she had worked since December 2007. In her time at the FT, she launched its award-winning Fast FT digital platform, delivering breaking financial news and information 24 hours a day, around the world. Murphy also served as the law courts correspondent, investment banking correspondent and chief media correspondent there. Before starting her career in journalism, Murphy was a securities lawyer at Wilson Sonsini Goodrich & Rosati in Palo Alto, CA. She holds a bachelor’s degree from Yale University, a master’s degree from Columbia School of Journalism, and a Juris Doctor from Northwestern University School of Law. She is from Chicago, Illinois. 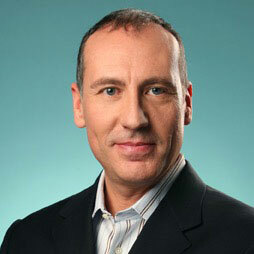 Mike Federle is President and Chief Operating Officer of Forbes Media, where he oversees the company’s media business encompassing content creation, editorial, product development, sales, marketing and corporate functions as well as its intersection with new businesses that Forbes launches. Prior to joining Forbes Media in 2011, he was a co-founder, President and COO of Techonomy Media Inc, a multimedia company based in New York, in which Forbes acquired an equity interest in July, 2011. He is a 25-year veteran of the media industry, where he has held top positions as Publisher of Fortune magazine, Group Publisher of the Time Inc. Business & Finance Network that included media properties such as Fortune, Money, Business2.0 and CNNMoney.com and Group Publisher of the Bonnier Mountain Group in Boulder, Colorado. 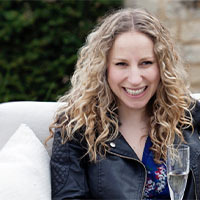 Sam Baker grew up in Hampshire and studied politics at Birmingham University before embarking on a successful 20-year-plus career in magazine journalism, during which she edited some of the UK's biggest magazines, including Just Seventeen, Cosmopolitan and Red. In 2015, she co-founded and launched The Pool, with broadcaster Lauren Laverne, with a mission to celebrate and amplify women's voices. An award-winning digital platform for women that has been described as redefining women's media, The Pool recently won a Webby for Best Lifestyle mobile site/app. Shadi Rahimi is the lead producer of AJ+’s Deployment Unit, a roving field team she established at Al Jazeera’s digital-only channel. In this role, Shadi leads the production of videos that most often receive top retention and viewer completion rates on YouTube and earn millions of views on Facebook. 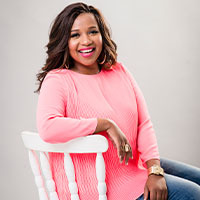 Prior to this role, she was the Acting Executive Producer of the social media team that helped AJ+ become one of the top 10 biggest video publishers on Facebook. In 2015 Shadi became one of the first journalists to use Facebook Live to broadcast – and did so in Europe reporting on the refugee crisis and in Palestine amid clashes. In 2016 she was awarded Al Jazeera's top honor, given once a year to only one person in each entity of the Al Jazeera Media Network, for her contribution to its winning two Webby Awards and one Shorty Award. Shadi has been working in digital media for more than 10 years, beginning at The New York Times. She spent three years reporting in Egypt during the revolution, where she helped launch a web documentary project that was awarded an Honorary Mention in the Digital Communities Category of the Prix Ars Electronica 2012. 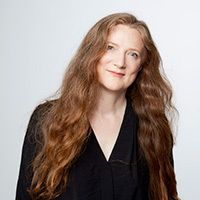 She's also been awarded the Kathryn Davis Fellowship for Peace, Chips Quinn Fellowship, Middlebury Fellowship in Environmental Journalism, Award of Excellence from the Pacific Media Workers Guild, and a coveted spot in the ONA-Poynter Leadership Academy for Women in Digital Media. She received her M.A. in journalism from U.C. Berkeley. 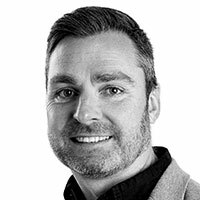 Tom has more than 15 years’ experience of running cross-media, digital content, ecommerce and technology platform companies. After starting his career in sales and marketing, then focusing on the nascent digital space, he was involved in a number of start-ups. 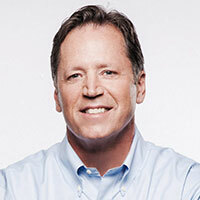 Tom was co-founder and CEO of digital start-up Silicon Media Group, backed by a number of blue chip venture funds. 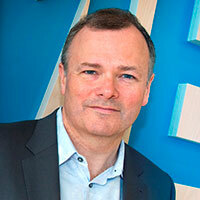 On its successful acquisition by CNET Networks in 2002, Tom led the expansion of CNET’s multi-brand business in the UK and across Europe, creating a highly profitable digital pure play. After a period of consulting with various private equity funds, Tom joined media-tech platform business Magicalia as CEO in 2008, working with Exponent Private Equity. Tom co-founded Immediate Media Co in November 2011. The company was formed by merging Magicalia’s digital technology platform with BBC Magazines, home to some of the UK’s leading magazine media brands, including the Radio Times. In the last five years Immediate has thrived under Tom’s leadership. Bucking the trend in the sector, Immediate has consistently grown revenues organically and through M&A activity, with EBITDA growth of 100% since 2011. Tom’s strategic focus on leveraging Immediate’s world-class content through the creation of an agile technology platform has allowed Immediate to take advantage of new business opportunities in the special interest markets it serves. TV shopping, ecommerce and digital marketplaces are just a few of the successful new platforms through which Immediate is driving growth. Immediate has won over 100 industry awards in the last five years and now employs over 1,300 people in London, Bristol, Redditch, Camberley, Manchester and internationally. Immediate was acquired by Hubert Burda Media in January 2017. Vince Errico is a global executive with more than three decades of digital strategy and management experience. Previously, Vince served as SVP and General Manager of Lifestyle properties at Everyday Health Inc., a leading publisher of digital health and wellness information, working on brands such as South Beach Diet and What to Expect. He held global strategic planning, product development, and marketing roles at major financial services companies including American Express Company, Visa International and Charles Schwab & Co., Inc. 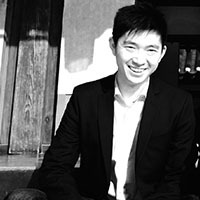 In addition, he has extensive experience in advising digital startups. He earned his MBA from Columbia Business School and has a Bachelor's degree from the University of California at Berkeley. Walter Longo, 65 years, is President and CEO of Abril Group, one of the largest media conglomerates in Brasil. Before his current position, Mr Longo was, for 11 years, Mentor & VP of Strategy and Innovation at Newcomm Group, a leading local communications group owned by WPP, and President & CEO of Grey Brasil, one of its advertising agencies. He was, for five years, CEO of Synapsys International, the premiere Advertainment Company in the Americas. Before creating Synapsys, Mr. Longo was CEO of Bates Brasil, and founder of Unimark/Longo, a consulting firm specialized in Marketing and Communication. In the nineties, Mr. Longo was CEO of TV Abril and President of MTV Brasil. Prior to that, Mr. Longo was President for Latin America of Wunderman Worldwide, overseeing all investment and expansion activities in the region. Mr. Longo achieved for four consecutive years the Planning Professional of the Year Award and was elected Media Man of the Year for his outstanding contributions to the Brazilian advertising industry. In 2016, he was nominated Marketing Citizen of The Year by the Brazilian Marketing Academy. Mr. Longo is the author, among others, of the best sellers “Everything You Always Wanted to Know About Advertising and Nobody Was Patient Enough to Explain” and “Marketing and Communications in the Post-Digital Era”. 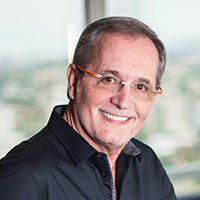 Mr. Longo is a member of many Boards, was the Founder and President of Abraforte, the Brazilian Association of Suppliers in Telecommunications, President of ABTA - Brazilian Pay TV Association, and Board Member of ABEMD - Direct Marketing Association. A native of Brazil, Mr. Longo is a qualified Business Administrator with an MBA in Marketing (University of Southern California – Los Angeles). He has also held a Chair in Marketing at the Universidade FAAP in São Paulo for more than 10 years. Besides his native Portuguese, he is also fluent in English and Spanish. Wolfgang Blau is President of Condé Nast International. 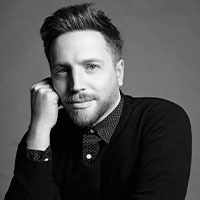 Prior to joining Condé Nast International Blau was Director of Digital Strategy for The Guardian, reporting directly to The Guardian’s global Editor-in-Chief as well as to the CEO of Guardian News & Media and has been serving on the company's executive committee. He had the editorial lead for relaunching the websites and digital tools for the media brand’s British, American and Australian operations. He was also latterly part of a four person team to evaluate the organisation’s editorial and commercial strategy as well as having been a moving force behind The Guardian’s new International edition. Before joining The Guardian, he served for five years as Editor-in-Chief of Zeit Online, the digital publication of the weekly German newspaper Die Zeit. A sought after speaker at industry conferences, Blau is a highly respected figure in the world of digital journalism and publishing. 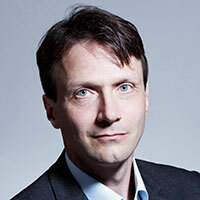 He initiated the Climate Publishers Network, a content sharing alliance of news organisations from more than 30 countries, and is a Vice President of the Global Editors Network in Paris, an association of more than 1,500 editors from 85 countries. He was named Germany’s Chief Editor of the Year for his work at Zeit Online, which won numerous awards under his leadership. Blau has recently been named President of Condé Nast International, effective from August 2017, in a move designed to bring digital authority to the heart of the organisation’s leadership. 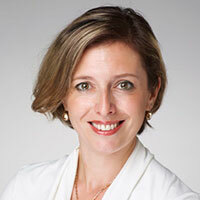 Yulia Boyle is senior vice president, International Media, for National Geographic Partners’ International Media group. She is in charge of strategy and management of licensing operations of magazines, books, kids media, and other ancillary media products in local languages globally. Boyle leads strategic business relationships with over 120 partners in 65 countries in 40 languages. Boyle has been instrumental in rapid global expansion of the National Geographic media properties, specifically overseeing launches of NG magazines and books in Taiwan, China, Indonesia, Middle East, Eastern and Central Europe, the Baltic states and former Soviet Union. 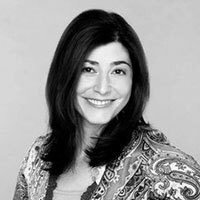 She has been successful in conceptualizing and launching new high-revenue, new-format publishing products, such as National Geographic Traveler Italy, distributed as a membership magazine to the 350,000-member base of Touring Club Italiano; and National Geographic Kids Sticker Collectible Album in Western Europe. Additionally, she secured partnerships and oversaw the launches of new editions of National Geographic magazine in Taiwan, Georgia, Latvia, Kazakhstan and Iran. Boyle, who is fluent in English, Russian and Armenian, has a 18-year career in publishing and international business development. Before joining National Geographic, she worked for Macmillan Publishing, where she launched a joint venture with a local publishing house in Armenia, served on a World Bank project to publish English-language textbooks and expanded Macmillan’s offerings in the South Caucasus and Central Asia. She also worked as a reporter for Ukraine’s largest English-language newspaper, the Kyiv Post, and oversaw the rebranding and launch of a popular women’s weekly magazine targeting Ukraine’s growing market of professional women, as its publisher. Boyle has also launched the British Council (BC) operations in Armenia and supervised the first ever Royal Visit to Armenia in the framework of BC’s cultural exchange programs. 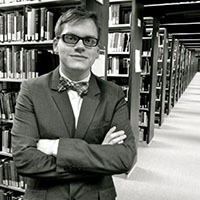 Boyle holds a master’s degree in public management with a concentration in comparative and international affairs from Indiana University, Bloomington. She has a bachelor’s degree in English language and U.S./U.K. studies.